Just days after two of its rivals combined, Morgan Stanley inked a deal of its own. The New York-based bank agreed to buy Alberta, Canada-based SoliumCapital Inc. for $900 million. The transaction is expected to close in the second quarter. The deal is Morgan Stanley’s biggest since the financial crisis and comes three days after BB&T agreed to merge with SunTrust Banks in a $66 billion “merger of equals” — creating the nation’s sixth-largest bank. “The acquisition provides Morgan Stanley with broader access to corporate clients and a direct channel to their employees, as well as a greater opportunity to establish and develop relationships with a younger demographic and service this population early in their wealth accumulation years,” said Morgan Stanley CEO James Gorman. The deal will combine Morgan Stanley’s existing base of corporate clients for whom it administers stock plans with Solium’s portfolio of clients. Marcos Lopez, CEO of Solium, will remain with the company and be based in Calgary, Alberta. 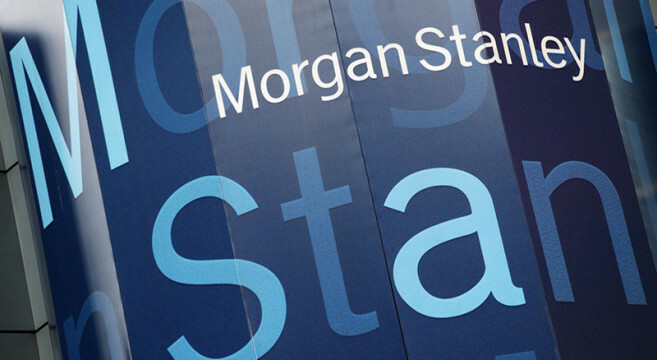 Davis Polk & Wardwell LLP and Osler Hoskin & Harcourt LLP are serving as legal advisors to Morgan Stanley in connection with the transaction. Solium prepares stock plans for startups as well as cloud-enabled services for global equity administration, financial reporting and compliance. Among the company’s clients include Instacart, Levi Strauss, Shopify and Stripe and a variety of fast growing private companies, as well as publicly listed companies. The transaction underscores a growing need for big banks to become more innovative as a way to offset the competition they face from burgeoning fintech startups. Last month, Morgan Stanley confirmed that it was part of a consortium of big-name retail broker-dealers looking to launch a new equities exchange. The consortium includes Bank of America Merrill Lynch, E*TRADE Financial Corp., TD Ameritrade Holding Corp., UBS AG, and Virtu Financial Inc.
Charles Schwab, Citadel Securities and Fidelity Investments are also on board with the project.